The 2015 Denver Nuggets season was a mix of peaks and valleys. For every disappointment, there was an exciting turn of events right around the corner. One of the brightest spots, though, was Gary Harris‘ impressive sophomore campaign. 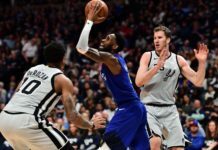 And yet, still, the Nuggets looked to make moves to upgrade their shooting guard position, drafting Jamal Murray with the seventh-overall pick and attempting to sign 12-time All-Star Dwyane Wade this week. 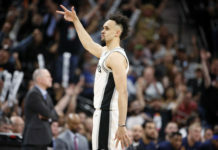 But with Wade now out of the picture, and with Murray a season or two away from fulfilling his true potential, it’s now time for Harris to step up and prove he’s the Nuggets’ long-term solution at shooting guard. And according to Harris and the organization, that’s exactly what he plans on doing. He’s put in a ton of work in this offseason, both on his game and on his body; apparently, he’s put on roughly 20lbs of muscle to help build his frame for the coming season. And the the increased competition isn’t affecting him, either. Whether it’s Murray, Wade or someone else, Harris knows the only person who can control his future is himself. And the organization feels the same way. 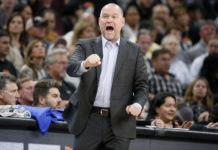 In the eyes of Tim Connelly and Michael Malone, not only is Harris their starting two guard next season, but he’s a major cog in their long-term plans. And rightfully so. Since Malone has come to town, Harris has done everything and anything he’s been asked to do. Not only that, but he’s showed continuous improvement while doing so. It’s no wonder why Malone trusts the 21-year-old shooter so much. For Harris, he doesn’t see the youth or depth at the guard position to be a negative, but rather as an opportunity to help the franchise win games. 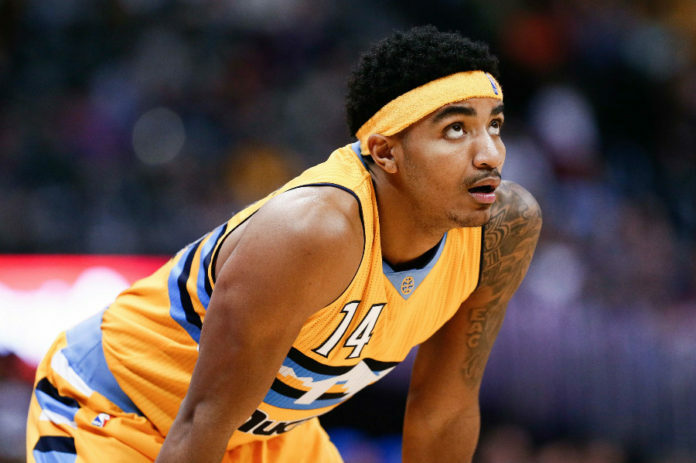 The Nuggets future is a bright one, and so is Gary Harris’. This season will be an opportunity for him to come in and prove he’s the Nuggets starting two guard, today and in the future.